Without a doubt CREW Studios is an impressive facility. It showcases a remarkable attention to detail that is normally only found amongst facilities that have been in operation for many years, decades even. The builders and developers did an excellent job in attending to all the necessary details, appealing to a wide variety of professionals at every level and in every genre. 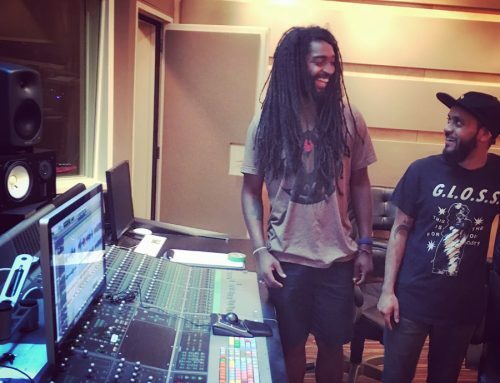 It is clear that they had a tremendous interest in creating a glorious recording environment. Even the aesthetics of the studio seem like the work of Zen mastery. There is an API 1608 recording console fronting CREW’s signal chain and complete hands-on control of the industry standard Pro Tools HD system is achieved with the Avid Icon. There is plenty of great outboard, a wide variety of excellent microphones, and all the necessary, everyday nuts and bolts have been considered. 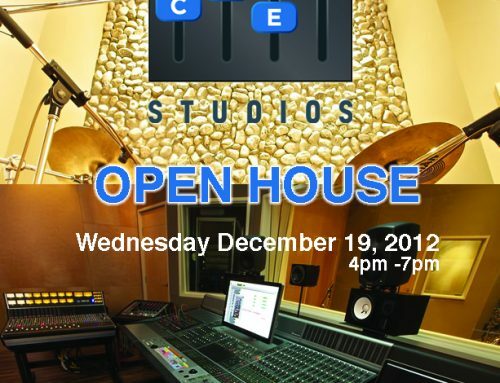 CREW Studios offer’s an exciting, progressive and practical approach to making world-class recordings. environment loved by many of Vancouver’s resident musicians. Leading the acoustics and technical design was Chris Potter who has lent his expertise to music giants Bob Rock, Bryan Adams and Sarah McLachlan. Owner and directing principal, Mr. Sergio Cocchia is responsible for the gorgeous aesthetics and attention to detail – a refined hand with a long history in the business of pleasing people. Sergio Cocchia is the President of Crew Management Ltd., Vice President of Absolute Spa Ltd., and General Manager of Century Plaza Hotel Ltd.
Let me first talk about the outside of the building – for which Sergio & CREW are visualizing a TV and Film studio, interconnected by a great lounge for their clients. The area seems rather pre-occupied with the surrounding businesses at the current time but it is clear to see the potential for expansion in the near future. Arriving to the front door, the distinctive markings, you are “in the right place”, are bitchin’ iron guitar headstocks on the post-tops of the gate, and a curious tiny red sticker on the door handle addressing “You Are Here”. On initial entry you are slapped with the “wow” factor as to why this studio carries so much potential to be a leading contender in audio production and recording. The piano room, while still in its final stages of treatment, is seconding as a place to relax. 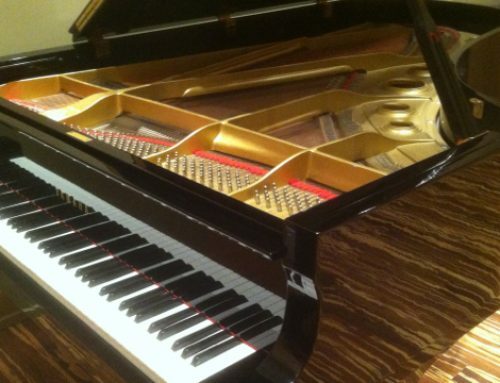 It houses a locally famed Yamaha C7 grand piano that is original to Bakerstreet Studios. Immediately, you understand how well designed the space is. From the piano room through into the control room and the rear tracking rooms the performers have visual connection. The vibrant bamboo flooring gives it a wild sense of intrigue; the walls are soft earth tones. There is a couch, and a television. Twelve feet further in, you are greeted with a clean and organized bathroom adjacent a small kitchenette and Tea prep counter. Its central amenities are clean, practical, organized and well supplied. The owner’s ARE in the hotel and spa business after all. The flow of the music moves you through into the control room. The pleasant smell of a naturally clean environment, warm analog equipment and the vintage tubes are prominent in the air. The workspace opens nicely and is treated with stonewall diffusions, custom fiberglass absorbent panels and a soft birch wallboard for a clear reflection. High above the desk is a gorgeous custom designed skylight. “We were sure to double treat it to compensate for the area’s rainy season.” Says Mike Cashin, “It was quite a challenge to get it to sound right in the mix position, having a big window overhead, but we got it to sound great! Chris is an exceptional designer and acoustician.” The technologies presence is graceful, and the forward thinking mentality of the CREW is immediately obvious. CREW recording studio features a Digidesign/AVID Icon D-Control ES with AVID HD I/O allowing 48ins and 48 outs. The API 1608 analog recording console offers 16 Channels of API 212L, 10 Channels of 550A, 2 Channels of 550B and 4 channels of the 560 graphic series. The studio also recently celebrated the delivery of two Grace Designs M501 pre-amps and has many outboard preamps of the Neve nature. The racks are an impressive selection of vintage and modern, some more-recent purchases and some of the classic pieces from the Bakerstreet days. See their website, www.crew-studios.com for a complete equipment and backline list. Passing through the vocal booth we arrived in the main room. Refined attention to detail was obvious in every corner and in every connection. It was also apparent that the facility maintains wonderfully recalled live floor starting-positions. The rooms are large and odd in shape, with plenty of high stonewalls; mid-high dampening panels and the soft birch wallboard carry throughout. The main room is large, excitable and with warm tones on the finish – talking about sound here. The tall stonewalls make for a great photo opportunity and the wild bamboo flooring follows suit throughout. In the far corner next to the emergency exit is a room that is large enough to house a drum kit or an expressive singer, the early to mid 1900’s Gibson YG-1? is available to strum. The mic locker has plenty of oldies, lots of great newbies, and some excellent vintage classics. 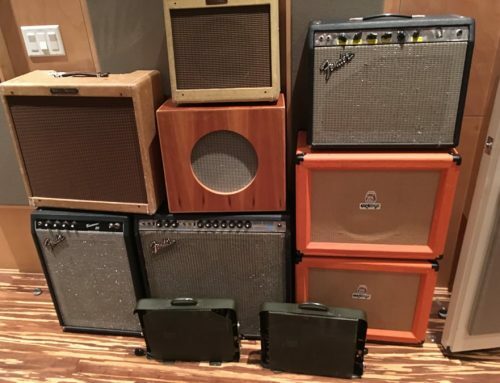 I was further impressed by their backline collection – a nearby warehouse has a large collection of guitars, amp’s and keyboards as well as a Hammond A-100 with a 147 Leslie. Afterwards, Mike privileged me to a thorough breakdown of all of the extra attention to detail that the designers incorporated, and there was a lot of it. They gave a clear and ambitious effort to think of every possible detail and plan for every possible scenario. From custom built boxes to protect the delicate Ethernet connections of the Aviom system, to mountains of custom cables for what they believe to be every patching and inter-connection scenario imaginable. The Mac also features two separate boot drives for Pro Tools HD v8 and v9. There is plenty of airflow, warm atmospheres and inspirational energy. Being in the studio makes you feel ready to create something astounding. When the inspiration is high and the performers are ready, one thing is for certain that this studio is not going to let you down. A short walk from the North Vancouver harbor and the lower Lonsdale market, the nearby amenities are sufficient to satisfy even the pickiest of eaters. What isn’t available by delivery can be plans for a short refreshing walk for lunch. Having opened only a short while ago, the facility is yet to celebrate it’s grand opening and is still in the early stages of gaining its reputation. 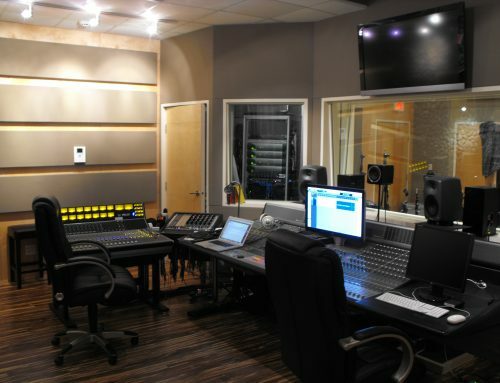 In a city filled with friends and peers who unfortunately fall into the category of “competitors”, there is no doubt that the challenges befalling any up-and-coming creation will come-over the newborn, but with a solid backbone and fine attention to over-achieving the standard, this moderate studio is sure to make a massive impression, overcoming any challenge for decades to come. *We would like to take a moment to add our deepest condolences for the friends and family of Mr. Paul Baker – he was a tremendous heart that will be dearly missed. FALL IS HERE AND WE’RE READY TO GO! Crew Studios proudly supports and adopts the We Have Voice Collective Code of Conduct. Please read it. We reserve the right to immediately terminate sessions if unacceptable behaviour is exhibited by producers, artists, or guests. We acknowledge that the land on which we record is the unceded territory of the Coast Salish Peoples, including the territories of the xʷməθkwəy̓əm (Musqueam), Skwxwú7mesh (Squamish), Stó:lō and Səl̓ílwətaʔ/Selilwitulh (Tsleil-Waututh) Nations.